Retiring Sen. Orrin Hatch (R., Utah) said Wednesday that he will support Mitt Romney if the former presidential candidate decides to run to fill his Senate seat in the 2018 midterm elections. Hatch announced Tuesday he would not seek another term after serving 42 years. 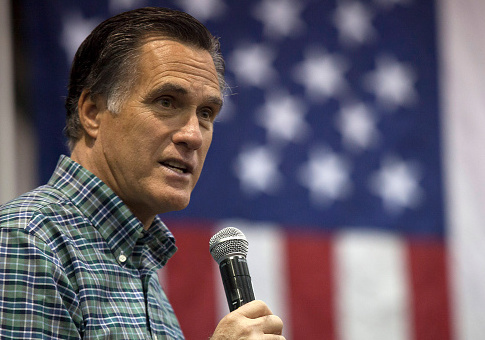 A day after the announcement, the Utahan called into Utah’s Morning New radio program where he shared what he felt about widespread speculation Mitt Romney might run to replace him, CNN reports. "I didn't call [Romney] before I made this announcement, but I did call him a while back and explored with him what he had on his mind, and I won't discuss what we discussed," Hatch said. "But there's no question that he loves Utah and wants to support Utah anyway he can. And I'm hopeful he'll run because he would be just fine. And he would certainly be somebody who I think could succeed me into the job. We haven't spoken in the last few days, but if Mitt decides to run, he knows he'll have my support." Hatch, who has shown strong support for President Donald Trump, added he believed Romney would also support the president on conservative agenda items. Romney has at times, especially prior to Trump's election, been more critical of the now president. Elaborating on his relationship with Trump, Hatch mentioned the president "pressured" him to run again, but Hatch reiterated his farewell announcement. "At the end of this year, I will have been in the United States Senate 42 years, and I've had a lot of people, including the President, pressuring me to run again. But I just feel like it's a good time to hang them up," Hatch said. "We've got some excellent people waiting in the wings. I hope, you know, especially Mitt Romney, if he wants to run. I don't know that he will. I would certainly feel good if he did and if the folks in Utah would support him, but there are others too," he added. "I know are our distinguished congressman from up north has certainly told me that if I ever hang them up, he might run himself. So there are some really good people out there who can do it. And I feel good about it. So frankly, I'm getting up there in age where I want to spend a little more time with the family." This entry was posted in Politics and tagged 2018 Election, Midterms, Mitt Romney, Orrin Hatch, Senate, Utah. Bookmark the permalink.